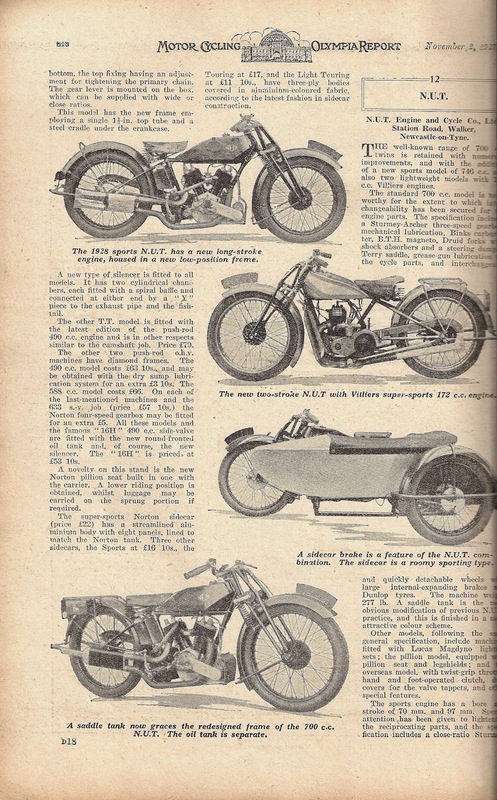 -SG- At Kempton Park Autojumble on Saturday I bought a rather sad copy of Motor Cycling for November 2nd 1927 - the Olympia Show report. 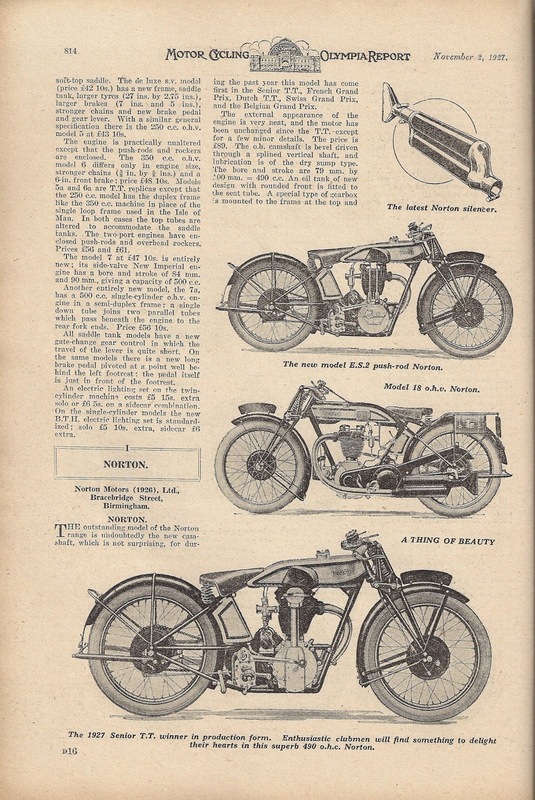 The stall holder, who sells only old magazines and motor-cycle books, told me he was leaving early as he had to go and take delivery of a pre-war bike he had recently bought with the proceeds from the sale of his American car. It transpired it was a thirties Model 55 and he was interested to hear about the web site. But back to the Show number - scans are attached of the Norton section - showing publicity prints which have been used many times over the years. Obviously the Publicity Department was not that fussed about accuracy - the ES2 being shown as having the earlier oil pump fitted and the Model 18 with pre-1926 rockers. In addition, both the CS1 and the ES2 are shown with the original rear brake anchor point, which caused frame bending problems in the TT and was modified on production versions!